I know what you might be thinking, "Mr. Rogers? The children's television host??" Yes. That is precisely who I am talking about. 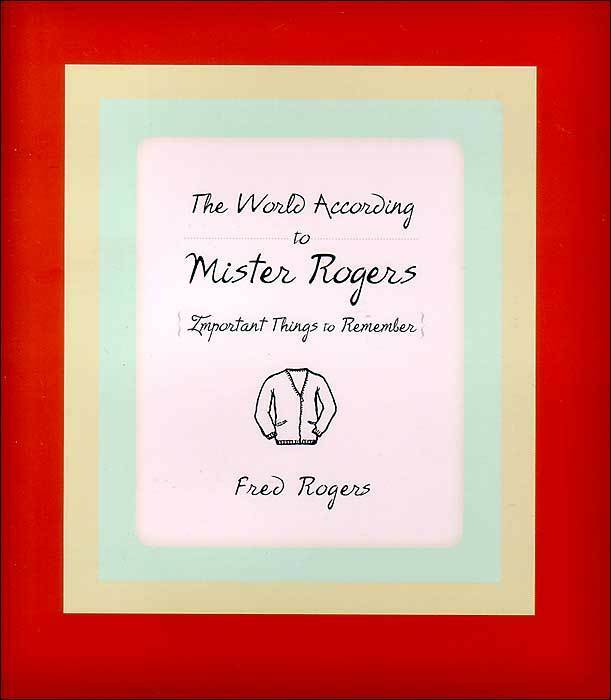 Recently, I watched a documentary called, "Mr. Rogers and Me," which is what lead to me to this book. Before I watched the documentary, I was familiar with Mr. Rogers from my experience watching his show as a child... it had been many years since I had thought of the man who changed his sweaters and spoke to children with a lot of love. As an adult, I found many of Mr. Rogers mantras and sayings to be more important than ever. He was such a remarkable man with a wonderful message of love, and that is what this book is--it is a compilation of all of his quotes and important things to keep in mind in life. This is not the usual type of book that I read. Actually, when I downloaded it on my kindle, I didn't know that it was a book of his quotes--I thought it was going to be in story format--but as I read, my expectation began to melt away and be replaced by a warm and fuzzy feeling of reading something truly affirming. Mr. Rogers has a saying, "Simple is best," and I love this notion. Life can be so complicated--so fast paced--that often times we forget how truly great simple can be. This book is simple in it's set up, but I found the impact deep. Mr. Rogers had such a wonderful way of looking at the world and other people. He was a man who knew how to take time to listen to others, but also how to share a way that was relatable to all sorts of people. Many of his saying, stories, or song lyrics speak about these themes in simple terms. In my humble opinion, this is a book that no home should be without. You can open it to any page and glean wisdom, or read it all the way through, like I did. Either way, this book is one that is bound to touch your heart. Mr. Rogers is often associated with childhood, but he is also someone who has a lot to teach adults. I recommend this book for everyone and since Christmas is right around the corner, it would make a great gift. Feed your soul with The World According To Mister Rogers.